Misc. : S. altissima��is part of the��Solidago canadensis��species complex. S. altissima��has sometimes been classified as a variety of��S. canadensis. In distinguishing between the two, note that S. altissima is remotely toothed; S. canadensis is sharply toothed. 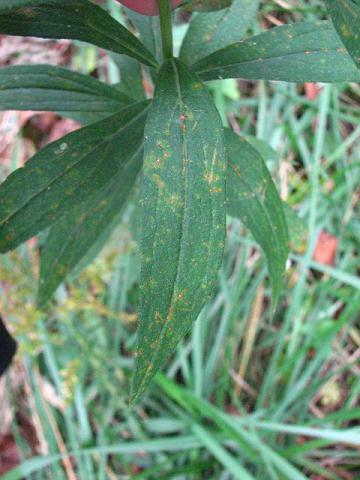 Also,the leaves of S. altissima are scabrous (rough to the touch) on the surface, and somewhat downy beneath. S. canadensis is not. Both S. altissima and S. canadensis are largely lacking in basal leaves. Tall goldenrood is food for many types of bees, wasps, butterflies, moths, beetles, and other insect species.��Praying mantises often lay their eggs on goldenrod. 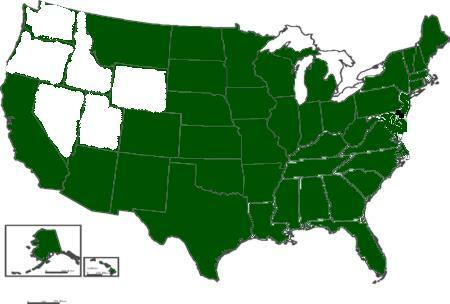 It tends to grow in colonies and the stands provide cover for birds and small mammals. 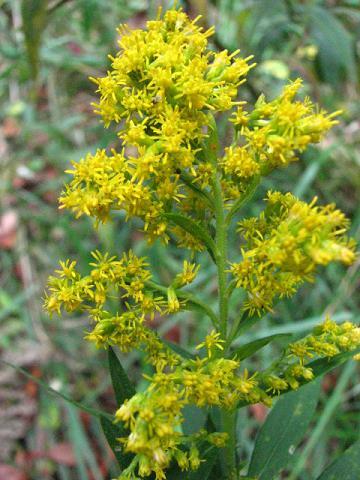 Tall goldenrod was used medicinally by Native Americans to relieve cramps, as well as as a dye for wool, silk, and other fabrics. 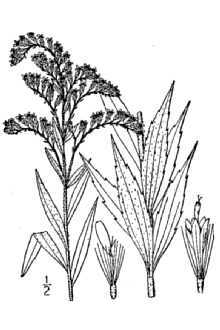 Witmer Stone, 1910, notes that S. altissima is often found growing with Gnaphalium obtusifolium.